Business simply can’t operate as it should when your pipes aren’t flowing. A properly draining sewer system isn’t just desirable, it’s necessary for business operations. We understand the importance of maintaining a clean, flowing sewer system, as well as the urgency of a sewer system malfunction. That’s why we provide professional sewer cleaning and maintenance services, and it’s why we provide 24-hour emergency plumbing services. Proper plumbing is crucial to your business, and your business is crucial for our business. Count on InSink Plumbing for your sewer pipe maintenance and repair needs. 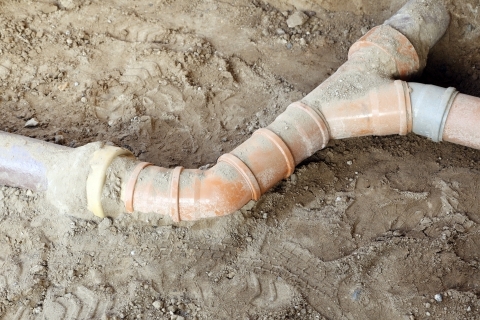 Maintain your business’ sewer pipes to avoid future catastrophe. We recommend that you have your pipes professionally inspected and cleaned at least once per year to ensure that a problem doesn’t bubble up. Keeping your business running smoothly means keeping sewer pipes clean and operational. We can utilize our sewer line camera system to monitor the health of your pipes, as well as our jet system to clean out your current lines. A sewer line malfunction can bring business to a screeching halt. We’ve seen it time and time again. That’s why we provide our 24-hour emergency plumbing services, and it’s why we recommend pipe maintenance. If you’re caught in a pickle due to your sewer pipe, please get in touch with us right away! Whether it’s maintenance or repair, we’re the company to call. InSink Plumbing provides sewer pipe maintenance and repair services for folks throughout Illinois, including Addison, Elmhurst, Carol Stream, Wheaton, Winfield, West Chicago, Lakewood, Wayne, Keeneyville, and Bloomingdale.